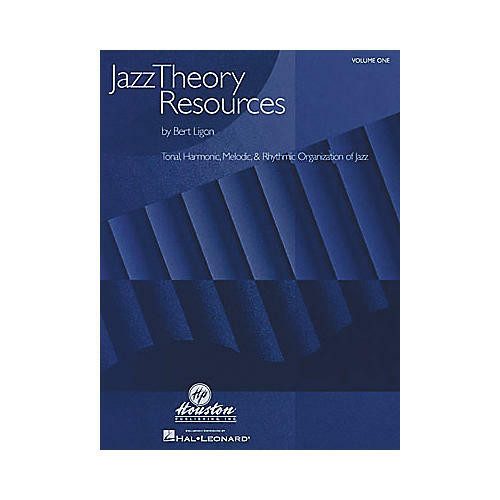 Jazz Theory Resources is a jazz theory text in 2 volumes. Volume I includes: review of basic theory, rhythm in jazz performance, basic tonal materials, triadic generalization, diatonic harmonic progressions and harmonic analysis, substitutions and turnarounds, common melodic outlines, and an overview of voicings. Volume II of the jazz theory course includes: modes and modal frameworks, quartal harmony, other scales and colors, extended tertian structures and triadic superimposition, pentatonic applications, coloring outside the lines and beyond, analysis, and expanding harmonic vocabulary. Appendices on chord and scale relationships, elaborations of static harmony, endings, composing tips and theory applications are also included.